I can't speak for how y'all are doing in 2009, but I know I could definitely use some good luck charms. Especially the pretty kind. 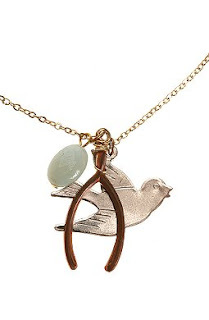 You can pick up this sweet necklace for just $12.99 (down from $18) at Urban Outfitters.